Wallach does a particularly good job framing the major questions about emerging technologies and their effect on society. “Navigating the future of technological possibilities is a hazardous venture,” he observes. “It begins with learning to ask the right questions—questions that reveal the pitfalls of inaction, and more importantly, the passageways available for plotting a course to a safe harbor.” (p. 7) Wallach then embarks on a 260+ page inquiry that bombards the reader with an astonishing litany of questions about the wisdom of various forms of technological innovation—both large and small. While I wasn’t about to start an exact count, I would say that the number of questions Wallach poses in the book runs well into the hundreds. In fact, many paragraphs of the book are nothing but an endless string of questions. Thus, if there is a primary weakness with A Dangerous Master, it’s that Wallach spends so much time formulating such a long list of smart and nuanced questions that some readers may come away disappointed when they do not find equally satisfying answers. On the other hand, the lack of clear answers is also completely understandable because, as Wallach notes, there really are no simple answers to most of these questions. Moving on to substance, let me make clear where Wallach and I generally see eye-to-eye and where we part ways. Again, many good questions here! But this really gets to the primary difference between Wallach’s preferred approach and my own: I tend to believe that many of these things can only be worked out through ongoing trial and error, the constant reformulation of the various norms that govern the process of innovation, and the development of sensible ex post solutions to some of the most difficult problems posed by turbulent technological change. But I tend to believe that it’s not always possible to preemptively determine which innovations to slow down, or even how to determine what those “shared values” are that will help us make this determination. More importantly, I worry that there are very serious potential risks and unintended consequences associated with slowing down many forms of technological innovation, which could improve human welfare in important ways. There can be no prosperity, after all, without a certain degree of risk-taking and disruption. It’s not that Wallach is completely hostile to new forms of technological innovation or blind to the many ways those innovations might improve our lives. To the contrary, he does a nice job throughout the book highlighting the many benefits associated with various new technologies, or he is at least willing to acknowledge that there can be many downsides associated with efforts aimed at limiting research and experimentation with new technological capabilities. Yet, what concerns Wallach most is the much-discussed issue from the field of the philosophy of technology, the so-called “pacing problem.” Wallach concisely defines the pacing problem as “the gap between the introduction of a new technology and the establishment of laws, regulations, and oversight mechanisms for shaping its safe development.” (p. 251) “There has always been a pacing problem,” he notes, but he is concerned that technological innovation—especially highly disruptive and potentially uncontrollable forms of innovation—is now accelerating at an absolutely unprecedented pace. 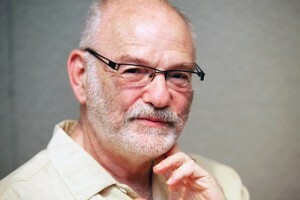 Despite his repeated assertions that modern technologies are accelerating at such a potentially uncontrollable pace, Wallach nonetheless hopes we can achieve some semblance of control over emerging technologies before they reach a critical “inflection point.” In the study of history and science, an inflection point generally represents a moment when a situation and trend suddenly changes in a significant way and things begin moving rapidly in a new direction. These inflections points can sometimes develop quite abruptly, ushering in major changes by creating new social, economic, or political paradigms. As it relates to technology in particular, inflection points can refer to the moment with a particular technology achieves critical mass in terms of adoption or, more generally, to the time when that technology begins to profoundly transform the way individuals and institutions act. The central fault line in innovation policy debates today can be thought of as ‘the permission question.’ The permission question asks: Must the creators of new technologies seek the blessing of public officials before they develop and deploy their innovations? How that question is answered depends on the disposition one adopts toward new inventions and risk-taking, more generally. Two conflicting attitudes are evident. One disposition is known as the ‘precautionary principle.’ Generally speaking, it refers to the belief that new innovations should be curtailed or disallowed until their developers can prove that they will not cause any harm to individuals, groups, specific entities, cultural norms, or various existing laws, norms, or traditions. The other vision can be labeled ‘permissionless innovation.’ It refers to the notion that experimentation with new technologies and business models should generally be permitted by default. Unless a compelling case can be made that a new invention will bring serious harm to society, innovation should be allowed to continue unabated and problems, if any develop, can be addressed later. So, by contrasting these passages, you can see what I am setting up here is a clash of visions between what appears to be Wallach’s precautionary principle-based approach versus my own permissionless innovation-focused worldview. But that would be a tad bit too simplistic because just a few paragraphs after Wallach makes the statement just above about “upstream management” being superior to ex post solutions formulated “after a technology is deeply entrenched,” Wallach begins slowly backing away from an overly-rigid approach to precautionary principle-based governance of technological processes and systems. So, he’s willing to admit that what we might call a hard precautionary principle usually won’t be sensible or effective in practice, but he is far more open to soft precaution. But this is where real problems begin to develop with Wallach’s approach, and it presents us with a chance to turn the tables on him a bit and begin posing some serious questions about his vision for governing technology. TECHNOLOGY –>> POTENTIAL PROBLEMS –>> DO SOMETHING! But almost all the details come in the discussion about the nature of the technology in question and the apparent many problems associated with it. Far, far less thought goes into the “DO SOMETHING!” part of the critics’ work. One reason for that is probably self-evident: There are no easy solutions. Wallach admits as much at many junctures throughout the book. But that doesn’t excuse the need for the critics to give us a more concrete blueprint for identifying and then potentially rectifying the supposed problems. Of course, the other reason that many critics are short of specifics is because what they really mean when they quip how much we need to “have a conversation” about a new disruptive technology is that we need to have a conversation about stopping that technology. Where Shall We Draw the Line between Hard and Soft Law? But this is what I found most peculiar about Wallach’s book: He never really gives us a good standard by which to determine when we should look to hard governance (traditional top-down regulation) versus soft governance (more informal, bottom-up and non-regulatory approaches). But Wallach also acknowledges the many trade-offs associated with efforts to preemptively controls on robotics and other technology. Perhaps for that reason, Wallach doesn’t develop a clear test for when the Precautionary Principle should be applied to new forms of innovation. Clearly there are times when it is appropriate, although I believe it is only in an extremely narrow subset of cases. In the 2nd Edition of my Permissionless Innovation book, I tried to offer a rough framework for when formal precautionary regulation (i.e., highly-restrictive policy defaults are necessary, such as operational restrictions, licensing requirements, research limitations, or even formal bans) might be necessary. I do not want to interrupt the flow of this review of Wallach’s book too much, so I have decided to just cut-and-paste that portion of Chapter 3 of my book (“When Does Precaution Make Sense?”) down below as an appendix to this essay. The key takeaway of that passage from my book is that all of us who study innovation policy and the philosophy of technology—Wallach, myself, the whole darn movement—have done a remarkably poor job being specific about precisely when formal policy precaution is warranted. What is the test? All too often, we get lazy and apply what we might call an “I-Know-It-When-I-See-It” standard. Consider the possession of bazookas, tanks, and uranium. Almost all of us would agree that citizens should not be allowed to possess or use such things. Why? Well, it seems obvious, right? They just shouldn’t! But what is the exact standard we use to make that determination. In coming years, I plan on spending a lot more time articulating a better test by which Precautionary Principle-based policies could be reasonably applied. Those who know me may be taken aback by what I just said. After all, I’ve spend many years explaining why Precautionary Principle-based thinking threatens human prosperity and should be rejected in the vast majority of cases. But that doesn’t excuse the lack of a serious and detailed exploration of the exact standard by which we determine when we should impose some limits on technological innovation. Generally speaking, while I strongly believe that “permissionless innovation” should remain the policy default for most technologies, there certainly exists some scenarios where the threat of harm associated with a new innovation might be highly probable, tangible, immediate, irreversible, and catastrophic in nature. If so, that could qualify it for at least a light version of the Precautionary Principle. In a future paper or book chapter I’m just now starting to research, I hope to fuller develop those qualifiers and formulate a more robust test around them. I would have very much liked to see Wallach articulate and defend a test of his own for when formal precaution would make sense. And, by extension, when should we default to soft precaution, or soft law and informal governance mechanisms for emerging technologies. We turn to that issue next. Even though Wallach doesn’t provide us with a test for determining when precaution makes sense or when we should instead default to soft governance, he does a much better job explaining the various models of soft law or informal governance that might help us deal with the potential negative ramifications of highly disruptive forms of technological change. If done properly, GCCs could provide exactly the sort of wise counsel and smart recommendations that Wallach desires. In my book and many law review articles on various disruptive technologies, I have endorsed many of the ideas and strategies Wallach identifies. I’ve also stressed the importance of many other mechanisms, such as education and empowerment-based strategies that could help the public learn to cope with new innovations or use them appropriately. In addition, I’ve highlighted the many flexible, adaptive ex post remedies that can help when things go wrong. Those mechanisms include common law remedies such as product defects law, various torts, contract law, property law, and even class action lawsuits. Finally, I have written extensively about the very active role played by the Federal Trade Commission (FTC) and other consumer protection agencies, which have broad discretion to police “unfair and deceptive practices” by innovators. Moreover, we already have a quasi-GCC model developing today with the so-called “multistakeholder governance” model that is often used in both informal and formal ways to handle many emerging technology policy issues. The Department of Commerce (the National Telecommunications and Information Administration in particular) and the FTC have already developed many industry codes of conduct and best practices for technologies such as biometrics, big data, the Internet of Things, online advertising, and much more. Those agencies and others (such as the FDA and FAA) are continuing to investigate other codes or guidelines for things like advanced medical devices and drones, respectively. Meanwhile, I’ve heard other policymakers and academics float the idea of “digital ombudsmen,” “data ethicists,” and “private IRBs” (institutional review boards) as other potential soft law solutions that technology companies might consider. Perhaps going forward, many tech firms will have Chief Ethical Officers just as many of them today have Chief Privacy Officers or Chief Security Officers. In other words, there’s already a lot of “soft law” activities going on in this space. And I haven’t even begun an inventory of the many other bodies or groups that already exist in each sector today that has set forth their own industry self-regulatory codes, but they exist in almost every field that Wallach worries about. How many of them are needed and how we will know which one is the definitive GCC for each sector or technology? If they are overly formal in character and dominated by the most vociferous opponents of any particular technology, a real danger exists that a GCC could end up granting a small cabal a “heckler’s veto” over particular forms of innovation. Alternatively, the possibility of “regulatory capture” could be a problem for some GCCs if incumbent companies come to dominate their membership. Even if everything went fairly smoothly and the GCCs produced balanced reports and recommendations, future developers might wonder if and why they are to be bound by older guidelines. And if those future developers choose not to play by the same set of guidelines, what’s the penalty for non-compliance? And how are such guidelines enforced in a world where what I’ve called “global innovation arbitrage” is an increasing reality? (3) that we can create a legitimate “governing body” (or bodies) that will be responsible for formulating these guidelines in a fair way without completely derailing the benefits of innovation in new fields and also remaining relevant for very long. So, despite the questions I have raised here, I welcome the more flexible soft law approach that Wallach sets forth in his book. I think it represents a far more constructive way forward when compared to the opposite “top-down” or “command-and-control” regulatory systems of the past. But I very much want to make sure that even these new and more flexible soft law approaches leave plenty of breathing room for ongoing trial-and-error experimentation with new technologies and systems. Serious questions deserve serious answers. Of course, sometimes those posing those questions fail to provide many answers of their own! Perhaps it is because they believe the questions answer themselves. Other times, it’s because they are willing to admit that easy answers to these questions typically prove quite elusive. In Wallach’s case, I believe it’s more the latter. we modern pragmatic optimists must continuously point to the unappreciated but unambiguous benefits of technological innovation and dynamic change. But we should also continue to remind the skeptics of the amazing adaptability of the human species in the face of adversity. [. . .] Humans have consistently responded to technological change in creative, and sometimes completely unexpected ways. There’s no reason to think we can’t get through modern technological disruptions using similar coping and adaptation strategies. Will the technologies that Wallach fears bring about a “techstorm” that overwhelms our culture, our economy, and even our very humanity? It’s certainly possible, and we should continue to seriously discuss the issues that he and other skeptics raise about our expanding technological capabilities and the potential for many of them to do great harm. Because some of them truly could. But it is equally plausible—in fact, some of us would say, highly probable—that instead of overwhelming us, we learn how to bend these new technological capabilities to our will and make them work for our collective benefit. 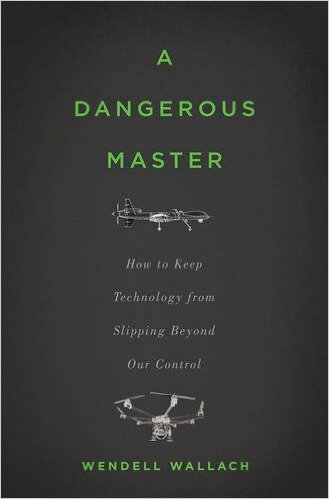 Instead of technology becoming “a dangerous master,” we will instead make it our helpful servant, just as we have so many times before. APPENDIX: When Does Precaution Make Sense? But aren’t there times when a certain degree of precautionary policymaking makes good sense? Indeed, there are, and it is important to not dismiss every argument in favor of precautionary principle–based policymaking, even though it should not be the default policy rule in debates over technological innovation. The challenge of determining when precautionary policies make sense comes down to weighing the (often limited) evidence about any given technology and its impact and then deciding whether the potential downsides of unrestricted use are so potentially catastrophic that trial-and-error experimentation simply cannot be allowed to continue. There certainly are some circumstances when such a precautionary rule might make sense. Governments restrict the possession of uranium and bazookas, to name just two obvious examples. This is not the end of the evaluation, however. Policymakers also need to consider the complexities associated with traditional regulatory remedies in a world where technological control is increasingly challenging and quite costly. It is not feasible to throw unlimited resources at every problem, because society’s resources are finite. We must balance risk probabilities and carefully weigh the likelihood that any given intervention has a chance of creating positive change in a cost-effective fashion. And it is also essential to take into account the potential unintended consequences and long-term costs of any given solution because, as Harvard law professor Cass Sunstein notes, “it makes no sense to take steps to avert catastrophe if those very steps would create catastrophic risks of their own.” “The precautionary principle rests upon an illusion that actions have no consequences beyond their intended ends,” observes Frank B. Cross of the University of Texas. But “there is no such thing as a risk-free lunch. Efforts to eliminate any given risk will create some new risks,” he says. Finally, it is again essential to reiterate that we are talking here about the dangers of precautionary thinking as a public policy prerogative—that is, precautionary regulations that are mandated and enforced by government officials. By contrast, precautionary steps may be far more wise when undertaken in a more decentralized manner by individuals, families, businesses, groups, and other organizations. In other words, as I have noted elsewhere in much longer articles on the topic, “there is a different choice architecture at work when risk is managed in a localized manner as opposed to a society-wide fashion,” and risk-mitigation strategies that might make a great deal of sense for individuals, households, or organizations, might not be nearly as effective if imposed on the entire population as a legal or regulatory directive. Finally, at times, more morally significant issues may exist that demand an even more exhaustive exploration of the impact of technological change on humanity. Perhaps the most notable examples arise in the field of advance medical treatments and biotechnology. Genetic experimentation and human cloning, for example, raise profound questions about altering human nature or abilities as well as the relationship between generations. The case for policy prudence in these matters is easier to make because we are quite literally talking about the future of what it means to be human. Controversies have raged for decades over the question of when life begins and how it should end. But these debates will be greatly magnified and extended in coming years to include equally thorny philosophical questions. Should parents be allowed to use advanced genetic technologies to select the specific attributes they desire in their children? Or should parents at least be able to take advantage of genetic screening and genome modification technologies that ensure their children won’t suffer from specific diseases or ailments once born? These technologies and capabilities will raise thorny ethical and legal issues as they advance. Ethically, they will raise questions of what it means to be human and the limits of what people should be allowed to do to their own bodies. In the field of law, they will challenge existing health and safety regulations imposed by the FDA and other government bodies. Again, most innovation policy debates—including most of the technologies discussed throughout this book—do not involve such morally weighty questions. In the abstract, of course, philosophers might argue that every debate about technological innovation has an impact on the future of humanity and “what it means to be human.” But few have much of a direct influence on that question, and even fewer involve the sort of potentially immediate, irreversible, or catastrophic outcomes that should concern policymakers. Of course, ongoing experimentation with new technologies always entails certain risks and potential downsides, but the central argument of this book is that (a) the upsides of technological innovation almost always outweigh those downsides and that (b) humans have proven remarkably resilient in the face of uncertain, ever-changing futures. In sum, when it comes to managing or coping with the risks associated with technological change, flexibility and patience is essential. One size most certainly does not fit all. And one-size-fits-all approaches to regulating technological risk are particularly misguided when the benefits associated with technological change are so profound. Indeed, “[t]echnology is widely considered the main source of economic progress”; therefore, nothing could be more important for raising long-term living standards than creating a policy environment conducive to ongoing technological change and the freedom to innovate. Previous post: Permissionless Innovation: Book, Video, Slides, Podcast, Paper & More!